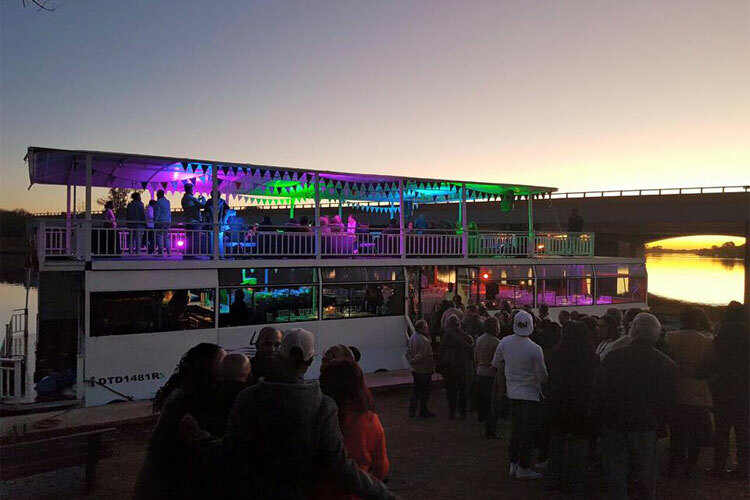 Liquid Lounge is the most popular party venue in Vanderbijlpark, offering guests a unique experience in addition to a party venue – a river cruise! 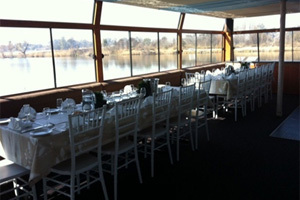 Guests aboard the Liquid Lounge will be treated to a scenic cruise down the immaculate Vaal River, which will complement any party, corporate function or wedding hosted aboard our luxurious river cruiser. For professional service and luxurious facilities in Vanderbijlpark, the Liquid Lounge’s party venue is the venue for you! 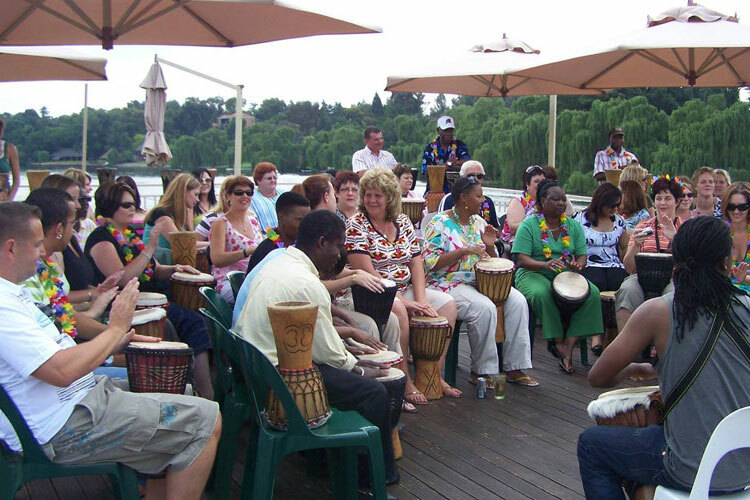 We will take care of every detail regarding your river party, and your guests will truly enjoy the river party cruise experience. A good time aboard Liquid Lounge’s party venue! Your guests will be guaranteed of a good time when choosing the Liquid Lounge as your party venue in Vanderbijlpark! The Liquid Lounge boasts top facilities and amenities including a buffet station, fully stocked cash bar facilities, a dance floor, an impressive sound system, an open sun deck as well as four toilets. 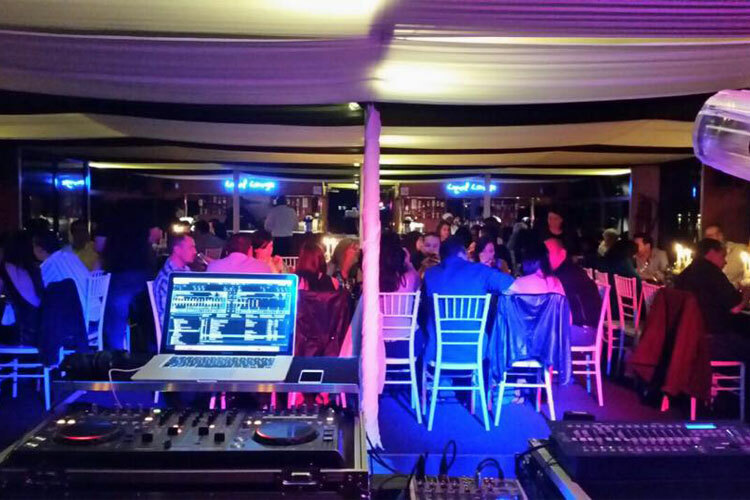 The versatility of the Liquid Lounge party venue in Vanderbijlpark makes provision for different party setups and function requirements. Whether you are seeking a seated or cocktail style setup, we will cater to your party needs. The Liquid Lounge party venue in Vanderbijlpark is perfect for any corporate function, company year-end function or fun day. Your company event will be a great success when booking the Liquid Lounge as your party venue! There is a minimum rate for groups smaller than 40 people, and a per person rate for groups of 40+ people. Liquid Lounge’s professional crew members will take care of the catering, décor and service staff, seeing to it that your requirements are met and the company event is a big success. 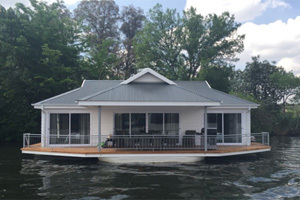 A cruise boat is a very popular choice when it comes to company functions, as it usually serves for some great fun and enjoyment for the guests! 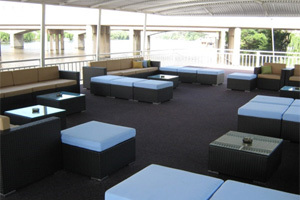 The Liquid Lounge is fully equipped with all the necessary facilities you may require. 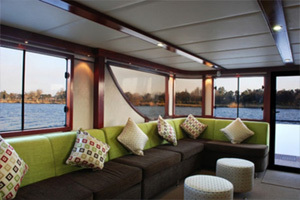 Your guests will be wowed by the beautiful scenery and luxurious river cruiser and spectacular food! As the Liquid Lounge is so popular, especially for year-end functions and events during the summer months, please book your party venue well in advance! Please contact Liquid Lounge regarding your party venue needs, and to book your party date! When experiencing our unique party venue in Vanderbijlpark for yourself, it will become your party venue of choice for years to come!